Sunday Times bestselling author Andrew Morton reveals new information and sources that totally transform our perception of Wallis Simpson. Start reading Wallis in Love on your Kindle in under a minute. 3.0 out of 5 starsEnjoy this book, but don't expect any real depth to the characters within. Have read better books on this pair. Another "just OK" book from Andrew Morton. Yet again he's managed to spin a fairly short tale into a long-drawn out affair. 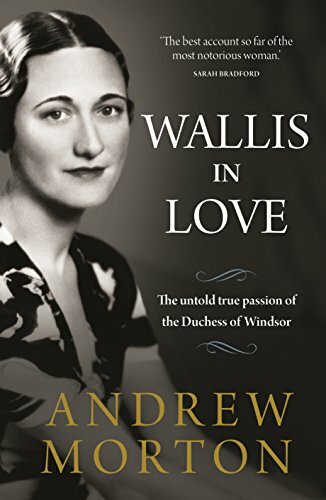 The book contains very little new information and his "sources" seem to be very loosely connected ie: "step-granddaughter in-law of 2nd or 3rd wife says she thinks ......." Yet again we are to!d repeatedly that while Edward Windsor was besotted with Wallis, she wasn't as enraptured by him. Morton did good job of describing Edward's character but yet again, the Duchess appears to be a creature with no depth whatsoever. An "ok-sort" of book but a fairly interesting addition to my library. 5.0 out of 5 starsThank goodness she never succeeded to the throne. She sure knew what she wanted, and went out and got it. Such bitter disappointment in the end. Edward such a weak man. How on earth did they need 26 servants to look after the two of them in the south of France? Glad that their belief in their assumption of superiority is now largely disappeared from our society. Parasites who contributed nothing to this world. 3.0 out of 5 starsGood seller experience shame about the book !!. Book arrived on time and was a good price. The book itself is pretty dire.......told me nothing that I didnt already know. Did enjoy this book although there was not much that was revealed that we didn't already know. Wallis Simpson was not a fascinating woman, the only interesting thing about her was that she happened to catch the eye of the then Prince of Wales. Most people in Britain, then and now, know that she only wanted to be Queen! This bit could have been told in about one chapter. The rest was a boring account of various wealthy people and their extremely boring lives! Would not recommend to anyone. 5.0 out of 5 starsWas she a gold digger? An incredibly interesting perspective on a well known story proving that all was not as it seemed in this famous “romance “. Some of this story was quite shocking ! 4.0 out of 5 starsFirst class! A very well written account revealing so much that I didn’t know or appreciate. 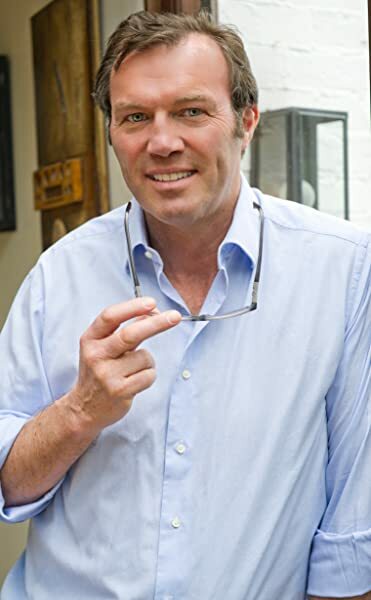 Andrew Morton is a very good biographer and his research, style and readability shine through.